Hormone Therapy for Women: Help or Hype? What do insulin, testosterone, thyroxine and estradiol all have in common? They’re hormones. According to a medical dictionary a hormone is a “chemical substance produced in the body that controls and regulates the activities of certain cells or organs.” We all have them. And their importance in physiology cannot be overstated. Pharmacologically hormones are used all the time for things as diverse as preventing conception to controlling diabetes. But for all that we know about hormones, there is still a lot of misinformation and confusion among patients about how they can and should be used. In particular, many women have questions about hormones like estrogen and progesterone and their impact on things like weight, mood, menopause and more. I reached out to friend and pharmacist Steven Pettit. 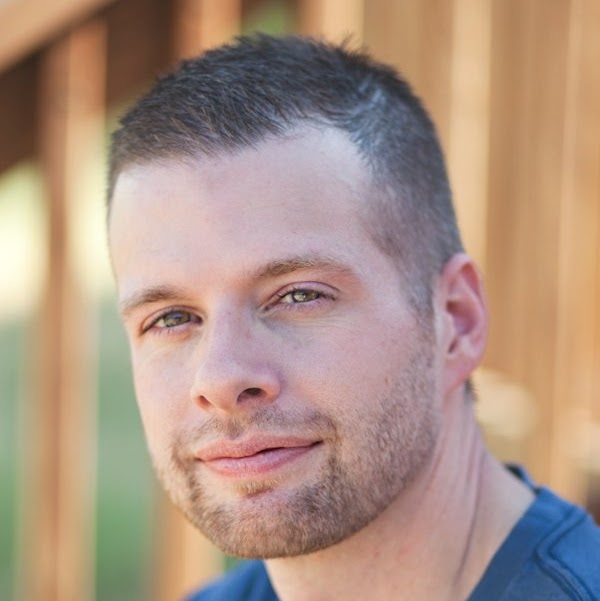 He has done extensive research on the subject of human hormones, and is the author of a popular online course to educate women on issues related to hormone therapy. The title of his course is called “Women’s Health and Menopause. Understanding Hormone Replacement Therapy for Women.” I invited Steven to come and share with my readers a bit about this important subject and about the course he created to educate women and answer their questions about hormone therapy. Steven – welcome to The Honest Apothecary! 1. Could you begin by telling my readers a little about yourself and your career as pharmacist? Thanks for having me here Jason – It’s great to speak with you and the readers of your site. I am a compounding pharmacist from the great state of Texas. 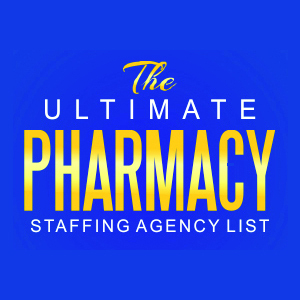 I was very fortunate to have my first job out of pharmacy school to be in the local compounding pharmacy. The learning curve was quite steep but I was able to learn a whole new world of compounded medications. To be honest, my education in the world of compounding never really ends. In compounding, my medications aren’t limited to the various strengths of medications available from a pharmaceutical manufacturer. For instance if a medication only comes available in 100 mg or 200 mg strengths, I can compound it to contain 150mg or 75.25mg or any other strength the patients physician thinks is appropriate. This flexibility not only makes my career as a pharmacist unique – it also creates a whole new world of customized medications for patients. Allergic to red dye? We can make a capsule of your medication that does not contain red dye. Need a medication made into a liquid for somebody that can’t swallow tablets? We can make that too. 2. You have created a great course designed to educate women on the issues related to hormones and hormonal imbalance. Why is this issue so important? Is this a big problem? It is certainly a large issue because of the amount of women that go through hormone imbalance with no help or relief. Many of the women that come into the pharmacy looking for relief have spent so much time worrying about the other important people in their family that they have neglected their own health and well-being. While admirable, this can lead to a wide array of issues that go beyond simple hormone imbalance. The bottom line is hormone balance is important because having an overall healthy lifestyle is important. Just remember there are different aspects of health that should all be monitored including mental, physical, or emotional health. 3. What exactly is hormonal imbalance and why does it happen? Hormone imbalance is caused by any number of factors. In my opinion pollutants in the environment has caused a fair amount of “hormone havoc” in men and women. Did you know that some plastic bottles have a substance in them that can cause estrogen activity in the body? Many of us may be unknowingly putting estrogenic substances in our body and not have any idea. Foods such as milk or beef might also introduce hormones into your body that you simply did not intend. Our bodies are constantly working to stay in balance. When something goes out of the desired range of the body – a symptom happens. Hormones are no different from the examples above. Too much or too little of a hormone can create a whole load of miserable symptoms. Age related decreases in hormones are absolutely normal. The purpose of hormone therapy is not to make you 21 years old again. The gradual decline of a hormone such as testosterone is completely normal. There are certain patients, however, that are not so lucky to have a gradual decline. Some patients come into my pharmacy with a much steeper drop off of testosterone than just simple age related decline. Their hormone levels seem to have taken a nosedive and sometimes are barely detectable. These patients have lots of hormone related symptoms and are desperately seeking relief. 4. Could you explain what sorts of symptoms are most frequently associated with hormonal imbalance? The biggest problem with hormone imbalance is that the symptoms can be attributed to some other issue. Symptoms of hormone imbalance can include hot flashes, weight gain, decreased libido, difficulty sleeping and many other symptoms. These symptoms sometimes are not recognized immediately as hormone imbalance unfortunately. Women that eat well but can’t lose weight or who are just too fatigued to move at the end of the day are usually incorrectly diagnosed by society as moody and lazy. This is obviously very wrong and very frustrating to women who truly want to feel better. The women in my pharmacy are just thrilled to learn that a hormone test not only showed that they weren’t making up their symptoms, but that custom treatment was available. 5. What type of treatment options do you cover in your course? My course discusses both compounded and non-compounded prescription treatment options. While I certainly believe in the custom treatment of compounded medications, I wanted to include all options available. Most compounded medications are made to be “bio-identical”. Bio-identical simply means that the medication dispensed is an exact replica of the hormones that the human body makes. Not all hormone medications that are manufactured can say that. One of the brand name only tablets available is actually harvested from the urine of a pregnant horse!! (Gross!). That’s always been a tough sell once that patient knows. My class discusses the pros and cons of topical creams, oral tablets/capsules, and other various dosage forms. Just like any treatment options, each and every choice comes with advantages and disadvantages. I really want patients to understand what options are available and why certain options might be chosen over others. A class like this can help patients have a knowledgeable conversation with their physician about their symptoms and their treatment options. Some students have watched the material and felt like they knew more than some doctors! Obviously this class won’t replace years of medical school but it can educate patients enough to maximize their time in a physician’s office. 6. How will women who take your course use that information to address their concerns? It is a real sinking feeling to visit with your doctor and leave their office feeling like you were never on the same page. It is almost like you and the doctor are speaking two different languages. My hope is that women will use their newly learned knowledge and have a more open and educated conversation with their physician. 7. Many women might be concerned about the safety of compounded preparations to treat hormonal imbalance. Could you talk about this? Absolutely. Compounded preparations do require you to put some trust in your local pharmacy. The pharmacy will be responsible for the measuring out of the medication, the mixing up into a cream or capsule, the proper storage of the medication, and many other important steps. If you are unfamiliar with your local compounding pharmacy I always recommend speaking with the pharmacist in charge at the pharmacy first. Hopefully you can build a good relationship with the entire pharmacy team. Much of the negative press that compounded preparations receive is regarding sterile compounding. Sterile compounding is when medications are prepared in a very clean environment. This extra level of cleanliness is needed for medications such as injections or eye drops. As you can imagine, improper handling of an injection or an eye drop can cause a very serious infection in a patient. Almost all sterile compounded medications are prepared and stored to USP guidelines. Pharmacies that are preparing medications according to these published guidelines must adhere to a standard of preparation that is intended to prevent certain mishaps that have made it to the news in the last few years. Again, check with the pharmacist in charge to make certain the pharmacy you have chosen is following rules and regulations regarding sterile compounded medications. Just like any prescription treatment, there are side effects and potential adverse effects. Upon picking up any medication, I always recommend patients take advantage of the pharmacist offering medication counseling. We are there to help and alleviate any of your concerns. 8. So what exactly will women get if they sign up for this course, and how does it work? Women will walk away from this course with a great deal of knowledge about bio-identical hormones and the effects of these hormones. They will know what hormones cause what symptoms as well as know what treatment options are available. We discuss saliva testing for hormones so that patients will have an avenue to test their hormones on their own at home and be able to come to their physician not only equipped with knowledge but also with lab tests. Many times when I counsel women on hormone medications they cut the time short with me for fear of taking up too much of my time. I try to always make time for good questions, but certainly this class will give more in depth answers than I could possibly give in the pharmacy. To sign up for the class, simply head to ->>> Udemy <<<- and start watching the lectures. The course is ONLY $19 (probably less than the copay for a doctor visit or prescription these days). There are a few easy quizzes along the way to make sure you understand the information. Additionally, there is a discussion forum in the class where you can ask simple questions to me or your fellow classmates. The purchase is like a book in that you can watch it as many times as you wish or just skip to the parts that you are most interested. One Response to Hormone Therapy for Women: Help or Hype? Steve: I applaud your innovative avenue of patient education. You offer a valuable resource at such an affordable price! When I dispense FDA approved hormone replacement therapy, one of the key counseling points that is important to discuss are the Black Box Warnings, such as the potential for increased risk of endometrial cancer or an increased risk of cardiovascular related side effects in specific populations. In my years of practice one field I have not participated in is the dispensing of compounded hormone replacement therapy for patients. When dispensing compounded HRT, is it common place for pharmacists to also discuss the same Black Box Warning they would normally discuss when dispensing FDA approved HRT?